Our little darling princess turned 5 yesterday and she is growing so fast. The memory is still vivid to my mind, I feel like I just had her last year and now she's 5. One thing that I am thankful for is that I got to see every milestones of my two children. I thank my husband for letting me stay at home and be with our kids 24/7. 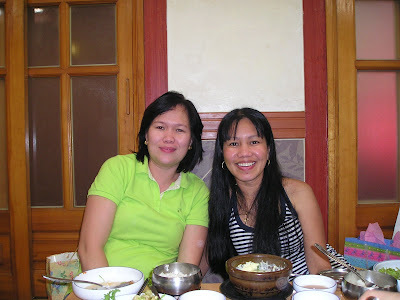 When we were in Korea, I work part time for 6 months I think and hubby was the one taking care of the kids. I only work during weekend whenever hubby is off, I also did some weeknights but it's only 4 hours long. It was an interesting experience and I definitely learned a lot especially on dealing with not-so-nice boss. 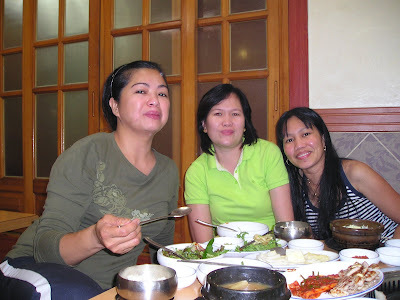 Working in Korea made me miss my super nice boss back in the Philippines. But anyhow, hubby did a pretty good job taking care of the kids while I was working. He make sure that they are entertained and well -fed. The only thing I have to take care of when I go home is the mess around the house lol. 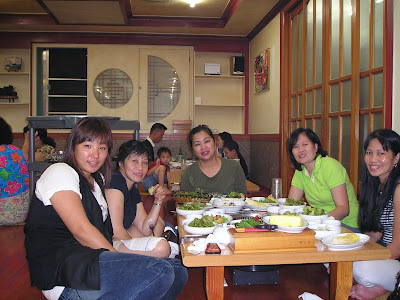 The only time that I experience going out with friends was when I was in Korea. My husband was in-charge that night and he really did well. The kids did not like it all though lol. This is my short entry to Couple's Corner. I know, it is late already but better late than never right? I love the hydrangea at my FIL's neighbor. They looks so pretty as they have various colors in 'em. Here's some snaps I took, aren't they lovely? The yellow rose in my garden is doing really great this year. Do you want to know my secret?..... Coffee Grounds.... Instead of throwing away the coffee ground at your coffee maker, save it and put it in your flower garden, it makes a good fertilizer. Another good fertilizer is our dog's poop (opps sowi).. But it's true, I always bury them in my flower garden. If you are wondering what's keeping me busy these days, this is it, teaching my kids some educational stuff like writing, spelling, and reading. Due to my addiction (blogging) I neglected to really focus on teaching my daughter with stuff that she need to learn like reading. But I promised myself that I really need to lie low on blogging and focus on teaching my daughter before she started going to school next month. She will be starting by mid-August. For yesterday's activity, I refreshed her skill in writing her name. She knows how to write it but she prefers to write it in big or capital letters. This time, I taught her how to write using the notebook with lines and the proper way of using the capital and small/lower case letters. Below are the activities that we did today. We reviewed what she've learned yesterday and I taught her the spelling of the colors and how to read them. My goal for this month is for her to learn how to read words, I hope that she would be able to do it. I am impressed of her progress because she really want to learn how to read. She doesn't complain even if sometimes I am so hard on her. Sorry anak, I just want to you to learn how to read before you start school, but I believe that you can do it. Then during the break, I treat them with snow cones. We used the snow cone maker that Titas Chris and Gail gave for her birthday. Thanks Tita! Here's a short video that I recorded this afternoon.